Become A Doctor: You rule the Hospital! Live the thrilling life of an emergency room Doctor and spend your days saving lives. Just make sure to stay focused as you're treating patients, delivering babies, and performing emergency surgery. Become A Scientist: You rule the Science Lab! Use your analytical mastermind to create crazy inventions as a Scientist. Collect unique specimens to craft diabolical creations like the Sim Ray and decide whether you'll use your inventions for good or to torment your fellow Sims. 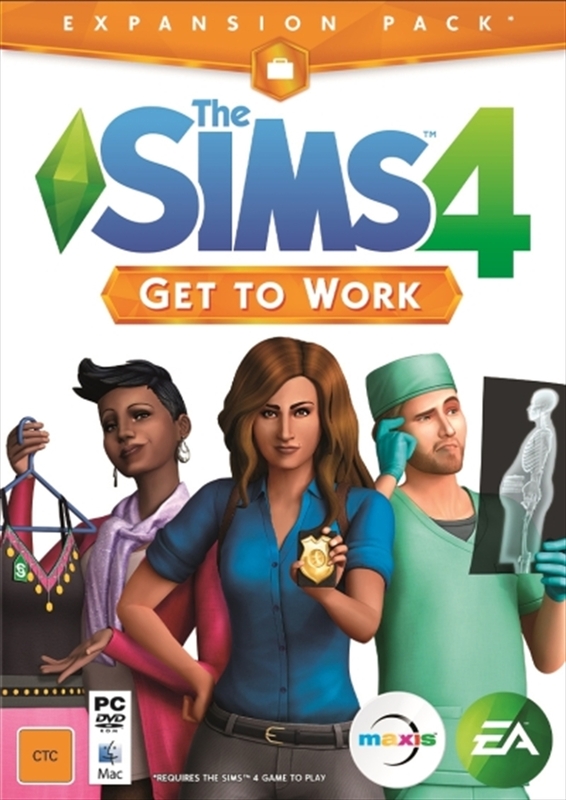 New Career Venues: Spend your days saving lives at the Hospital, booking criminals at the Police Station, searching for alien life at the Science Lab, or chatting up customers at one of the many retail businesses you've created!